MUTARE – Six men, including cops, soldiers and municipal police officers who were allegedly contracted by a senior council official to assault a local journalist he accused of having an affair with his live-in girlfriend have all been arrested. 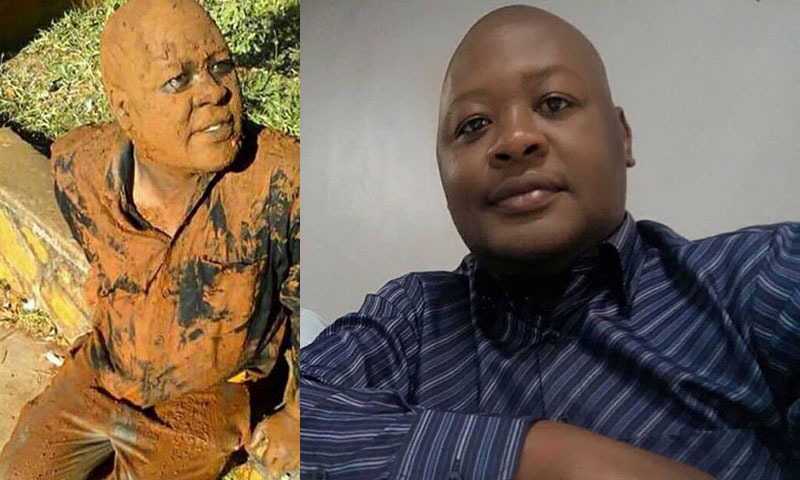 The attack — including handcuffing, assault and smearing mud on Clayton Masekesa — which was calculated to inflict pain and humiliation, was recorded by the assailants and shared on social media where it has since gone viral. Saul Tom, whose girlfriend allegedly dated Masekesa, Penlock Majoni, Everson Mark Marowa, Hope Mwaipa, Joachim Runyanga, and John Takaendesa have since appeared before magistrate Perseverance Makala on assault charges. The team had been working together in a council-led traffic by-law enforcement operation. They are denying the charges. According to State papers, Masekesa was on June 7 at around 1300 hours invited to Tom’s house in Hospital Hill by the live-in girlfriend through a text message. A few minutes after his arrival, two of the accused persons came in, handcuffed him and started harassing him. They took him outside and immediately, a Mitsubishi police vehicle registration number ZRP 093 E arrived with Tom, Majoni and a soldier. Tom and the soldier started assaulting him with a baton and open hands while Majoni and another cop were recording a video of the attack with their phones. His legs were then cuffed in the continuing assault. They then poured water on him while ordering him to roll on the ground before pasting his face and head with mud. Tom’s girlfriend was allegedly crying during the assault. Masekesa in the meantime, tried to plead with them to let him go but to no avail. After about five hours, he was then taken to Civic Centre in the police vehicle where he was assaulted further and had water poured on him with a hosepipe. Two municipal police officers also covered his face with a jacket and took turns to slap him. Beaten up, drenched and muddy, Takaendesa who is a senior municipal officer, later instructed him to leave. He sustained swollen buttocks, legs, and arms and was medically examined following a police report. The accused were yesterday remanded in custody to June 26 and asked to apply for bail at the High Court.